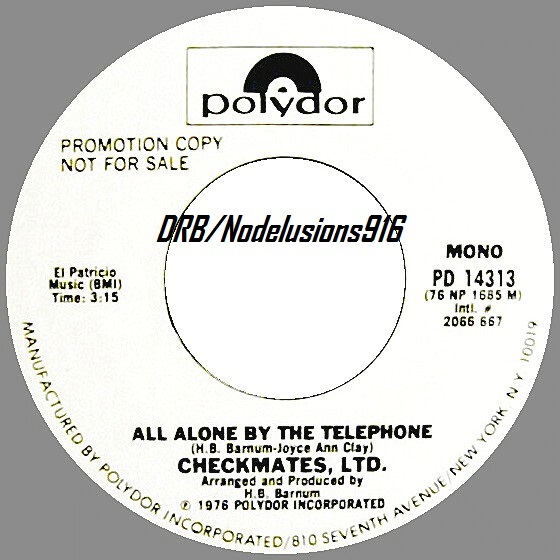 “All Alone By The Telephone” by Checkmates, Ltd. This entry was posted in drb's audio and tagged 1976, All Alone By The Telephone, Checkmates Ltd. by DRB. Bookmark the permalink.